Many of us spend as much time with our co-workers as we do with our family, so when a member of the team is celebrating a special occasion it is only fitting to present them with a gift. 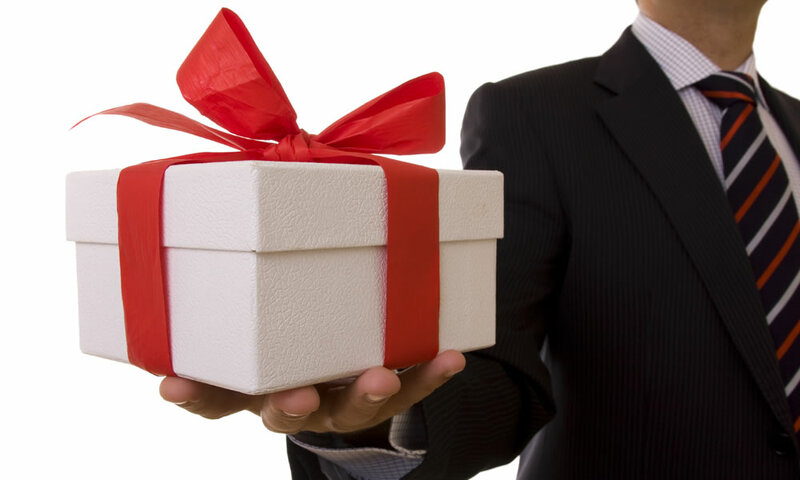 There’s nothing wrong with that as long as you follow the basic office gift etiquette. The last thing you want is for your token of appreciation to become the next inter-office scandal that leaves behind a trail of hurt feelings and jealousy. Giving a cash gift may sound like the perfect present, but in reality it’s emotionless and often discomforting to the recipient. If you feel that someone is deserving of more money, your best bet is to recommend them for a raise. It’s understandable to be excited for your colleagues recent marriage or new arrival, and gift giving is a tradition for events like these. However, unless you plan to purchase the exact same gift for every staff member who celebrates a personal milestone, then you should send gifts for these occasions to a home address. A simple way to make sure office gifting doesn’t turn into a popularity contest is to include everyone in on the surprise. You can accept anonymous donations towards a group gift, or simply send out an e-mail to your team informing them that you are going out during lunch to pick something up for the honoree. This spreads the financial commitment across multiple parties and typically allows you to purchase a nicer present. It also eliminates the awkwardness of piling several individual boxes on the recipient’s desk! Sensitivity is paramount is today’s workplace, so it shouldn’t be a surprise to hear that “gag gifts” are not acceptable. Not only is it unfair to put your co-worker in the position to explain the motive behind your little prank, but the wrong joke could even book you an unscheduled visit to human resources. Keep things clean and stick with crowd-pleasers like gift baskets, engraved items, or gift certificates. With all the pressure we put on ourselves to find the perfect token of our appreciation, it’s easy to overlook the value in communicating our feelings directly. Many times a simple hand-written note will have a greater impact on both sides. If you feel bad for not telling a team member how well they have been doing, then you likely already have the best gift for this occasion. Just open that pack of thank you cards and start writing!